The Los Alamitos Racing Association will offer a cash prize and three seats to the 2018 National Handicapping Championship in Las Vegas with a live money contest Saturday, Dec. 9. Cost to enter the Los Alamitos Winter Qualifier is $400. Of that amount, $100 will be placed in the contest prize pool with the remaining funds going towards a live-money wagering card. Contestants must enter prior to 12:30 p.m. – post time for the first race – Dec. 9. Players can begin entering the contest at 10 a.m. that morning. Tournament races will include the entire card at Los Alamitos with permitted wagers including win, place, show, exactas and daily doubles beginning on races 1, 2, 3, 4 & 5. Each entry must bet at least $50 on six races, but there is no wagering limit. For purposes of the contest, a Daily Double wager counts as one race. The player with the highest bankroll at the end of the day will be declared the winner and the player with the second highest bankroll will be the runner-up. The winner will receive 50% of the prize pool, which will be capped at $10,000. The remaining payoffs: 20% (2nd place), 15% (3rd place), 10% (4th place) and 5% (5th place). There will also be three berths available to the 2018 Last Chance contest in Las Vegas. Another handicapping contest is scheduled for Saturday, Dec. 16. Further details will soon be available. For complete contest rules or any other questions, contact larace@losalamitos.com or by telephone at 714-820-2690. The Winter meet at Los Alamitos will begin Thursday, Nov. 30 and continue through Sunday, Dec. 17. The Los Alamitos Racing Association will offer a cash prize, three seats to the 2018 National Thoroughbred Racing Association National Handicapping Championship in Las Vegas and more with a live money handicapping contest Saturday, Sept. 23. 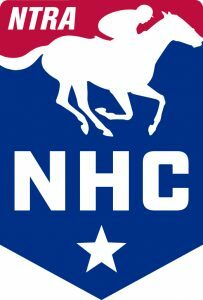 In addition to the berths in the NHC, there will be also be five spots available for the Autumn Handicapping Contest at Santa Anita (Oct. 6-8) as well as three to next year’s NTRA Last Chance Horseplayers Championship Qualifier in Las Vegas. Cost to enter the Los Alamitos Fall Qualifier is $500. Of that amount, $100 will be placed in the contest prize pool with the remaining funds going towards a live-money wagering card. Contestants must enter prior to 2 p.m. – post time for the first race – Sept. 16. Players can begin entering the contest once track gates open at 9:30 a.m. that morning and participants can purchase a maximum of two entries. Tournament races will include the entire card at Los Alamitos with permitted wagers including win, place, show and exactas. Each entry must bet at least $100 on four races, but there is no wagering limit. 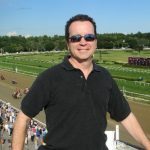 Players can sign up for the handicapping contest at losalamitos.com as well as review complete contest rules. For any further questions, contact larace@losalamitos.com or by telephone at 714-820-2690.